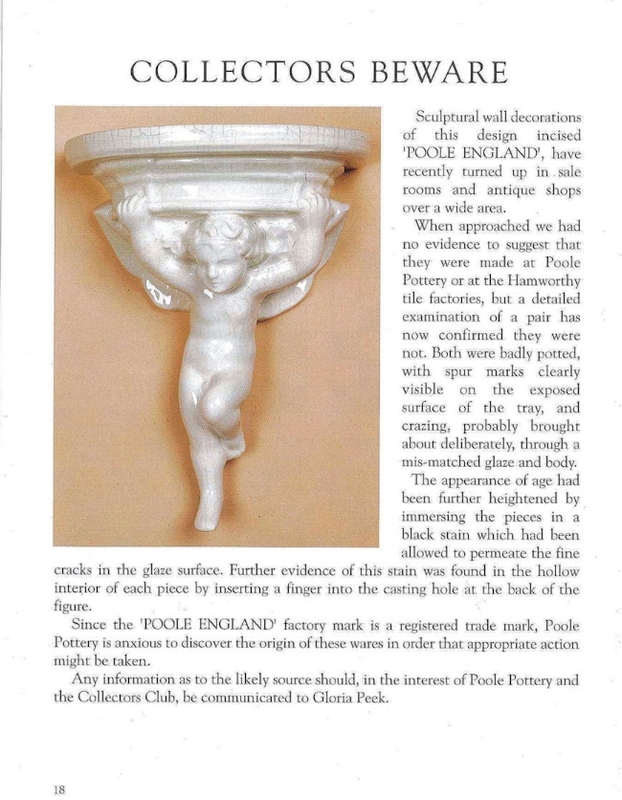 Below - an article from the Spring 1997 edition of the former Poole Pottery Collectors Club magazine. The magazines are an excellent resource and most editions are still available. The fake cherubs which prompted the article turn up regularly on ebay and at auction houses. A selection of fake marks is shown below. 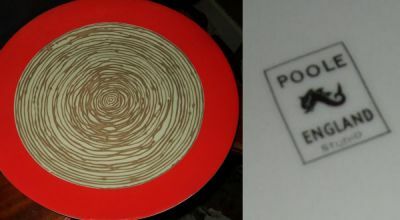 Most are unlikely to fool collectors if they are familiar with the genuine marks. 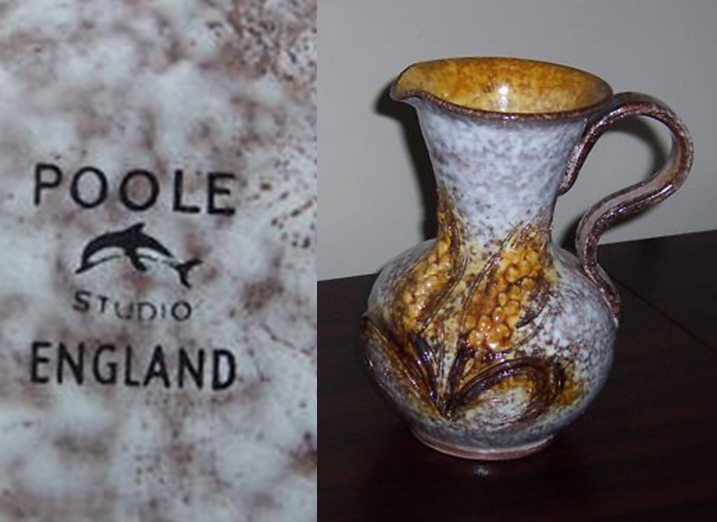 Often the unlikely nature of the piece is the biggest giveaway that the mark is not genuine.